Ask anyone who knows me and they will tell you I love facials and I love to be pampered! I am all about the spa day and taking care of my skin- anything to say bye-bye to these under eye circles that I have gained as I age! 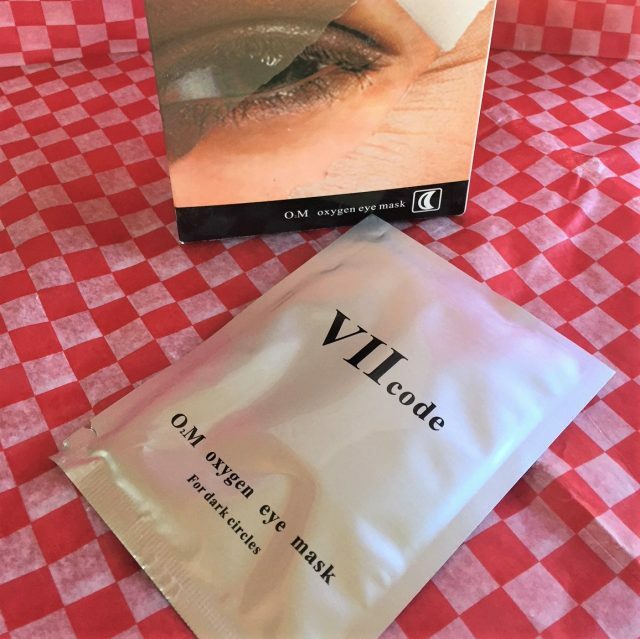 Trying new skin care products is so much fun so I was very excited when VIIcode contacted me and asked if we would like to review their O2M OXYGEN EYE MASK FOR DARK CIRCLES. Yes! 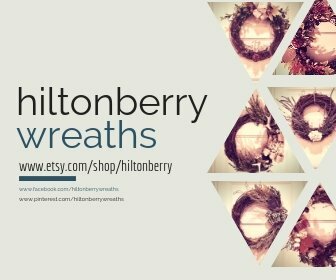 Of course we said yes and we received a box at no charge in order to bring you this review, however, all thoughts are 100% our own. 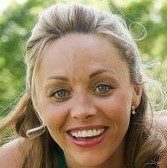 As I have moved into my 40’s my eyes have decided very much against my will that they will look tired, have dark circles and the dreaded fine lines. 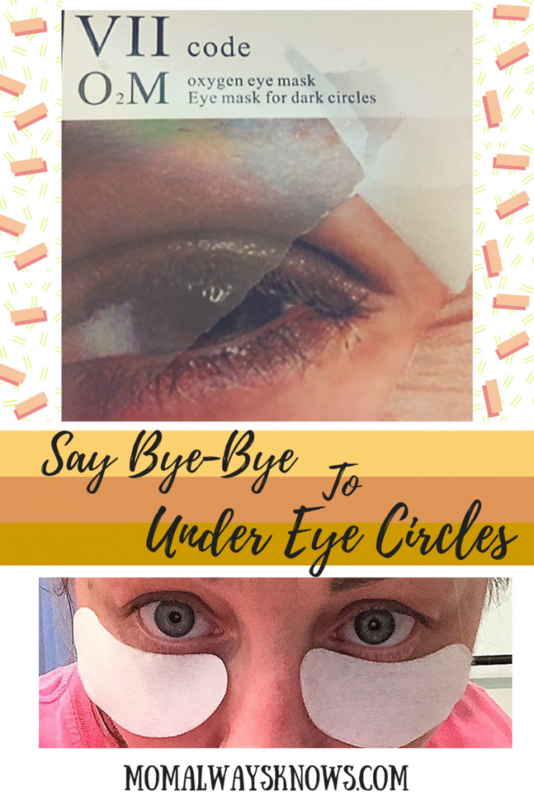 When my O2M Oxygen Eye Mask box arrived I jumped right in because this eye mask claims to help get rid of dryness, puffiness, and dark circles among other problems around the eye area. You had me at puffiness! There are 6 aluminum packets in each box and each packet has 2 masks (one for each eye) in it. The box arrived just as promised and the directions were easy to read! Open the aluminum bag and take out the eye mask. Tear up the light membrane side and apply the mask around the eye. Gently pressing it down to absorb. It’s a peel and stick so super easy! Let skin work its magic no more than 8 hours and remove. Did the VIIcode Eye Mask work? After using a few of the masks I found I really liked the gel-like material feature of the mask. It was cool, soft and made me feel like I was being pampered at the spa. You get to wear the VIIcode eye mask for 8-hours overnight, which is different from other sheet masks so I suggest wearing a sleep/eye mask over it so they will not slip out of place or fall off if you toss and turn while you sleep. My skin felt instantly refreshed and I did feel like my dark circles were a little less pronounced. The company suggests you do one full course to see maximum results which is 3 boxes. If you are ready for a in-home eye pampering session, you can purchase the masks from the VIIcode official site here! Tell them we sent you and have fun! « He Says My Grace is Sufficient so What Does That Mean Exactly?